Embrace feminine beauty wearing gorgeous lace. 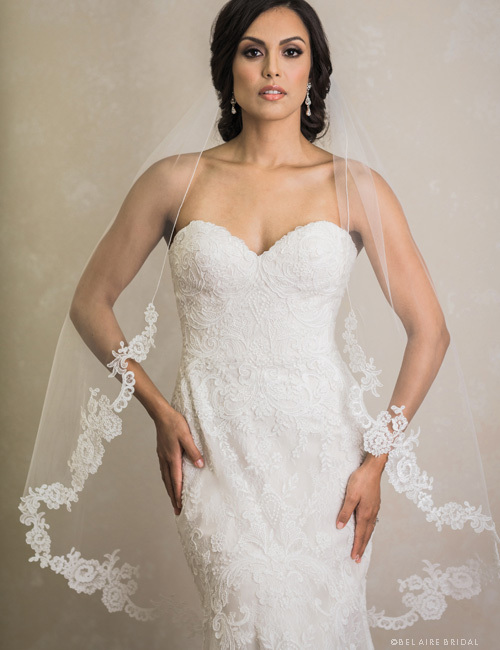 A 1-tier long fingertip veil features rolled edge at the top and curving, unbeaded Alençon lace along the curve. This romantic design perfectly complements lace gowns. Available in champagne/ivory, ivory/ivory, latte/ivory, or white.